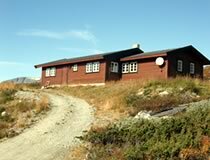 Larsebu is a mountain-cottage with a high standard, sunny and centrally located on Ustaoset, 8 minutes from Geilo. LarseBu fits 2 families, and it's only a 4min drive to downtown Ustaoset, with shops, gas-station and hotel/restaurant. The cabin has 4 bedrooms, 1 with double bed, TV with satellite television, Wireless Internet, lounge with dining area, fully equipped kitchen are bathroom and separate toilet. Laundry with washing machine. It is an open car-road to the cabin throughout the summer. In winter snowmobile transport to the cabin included in the rent upon arrival, as well as a trip on departure. 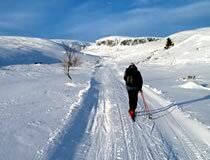 The cross-country trails right by, and for those who enjoy alpine skiing, it is only 8 minutes to lift in Geilo. 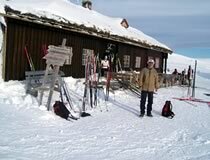 Ustaoset is a hub for ski trails, and there are prepared tracks to Hardangervidda (Tuva, Ustetind) and the Hallingskarvet (Embret Mountain, Prestholt seats and Geilo). Walking on the Hardangervidda, and the Hallingskarvet. Fishing opportunities in Ustevann, Tuva and Haugastøl. Hunting, Tours: For those who are mountain won a trip for Halling Inherited a great experience. 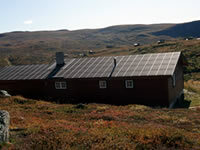 A trip to Halne Mountain Lodge on the Hardangervidda (30 min) and a boat ride on Halnefjorden can also be tested. 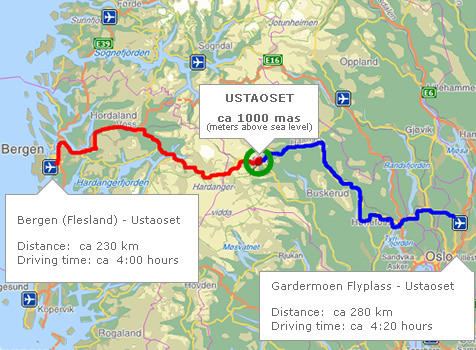 One can then go over Hardangervidda to Tuva and Ustaoset. There are many fine gravel roads to ride, and a trip from Haugastøl to Finse can be recommended. The track is called "Rallarvegen". 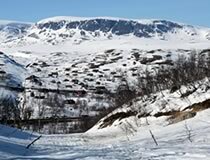 A shopping trip to Geilo is also recommended, there are many good shops, and knife factories Brusletto, Øyo, Skaugum and Geilo Tools are also worth a visit.